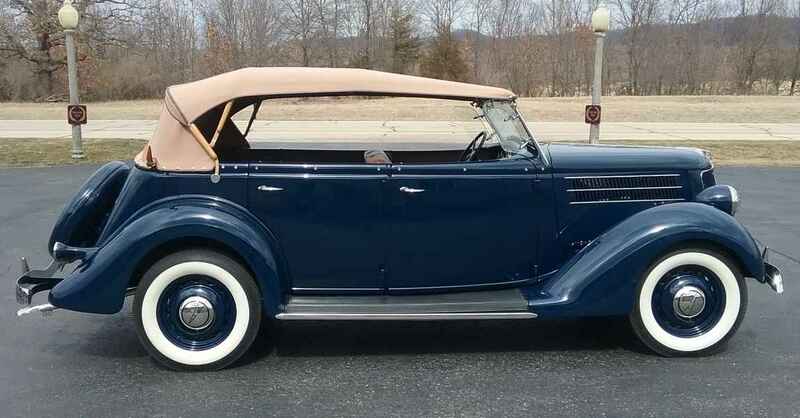 This gorgeous 36 Ford Phaeton belongs to a well known Midwest family. Purchased originally by their grandfather, three brothers commissioned the restoration of the family heirloom after it sat dormant for decades. The car has been repainted to its original Washington Blue and has the original, rebuilt motor and gearbox. The original interior color is unknown, but the color chosen was one of the colors available for this car in 1936. The rebuilt motor runs amazingly smooth and is a testament to the great American engineering of its day.